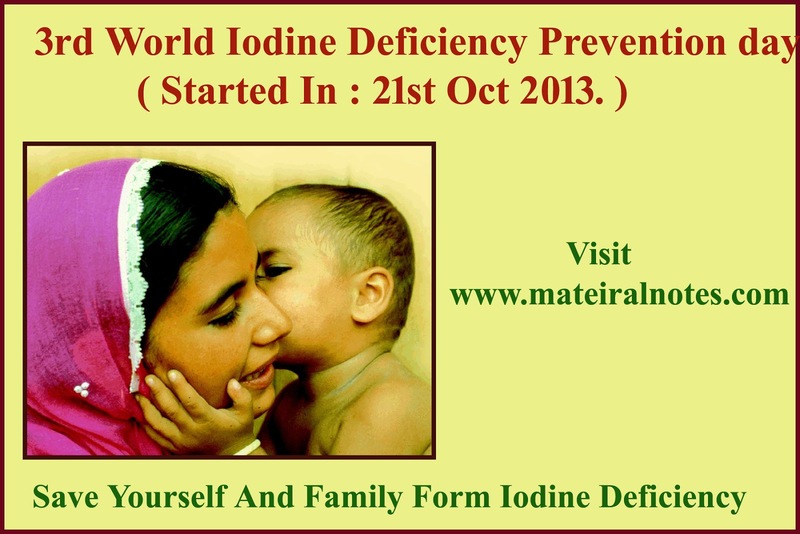 Mental retardation in children & infant due to iodine deficient during pregnency. Goiter : Inadequate iodine intake, the thyroid gland become enlarges ( goiter ). Iodine deficiency is the common cause of thyroid enlargement and goiter. Due to large goiter the symptoms like choking, during lying down, and difficulty breathing and swallowing. Hypothyroidism : Low amount of iodine in the body develops a hypothryoridism. During Pregnancy : iodine deficiency is very important in women during pregnancy. Due to iodine deficiency in the pregnancy leads to preterm delivery, congential abnormalities, mental retardation, Growth problems, hearing and speech. Pregnant women and brestfeeding women should take a multivitamin minimum 150ug iodine per day. Adult men and women : 150ug per day. Breast feeding women : 290ug per day. Taking high amount of iodine in diet also cause problem hyperthyroidism, autoimmune thyroid disease, iodine containing medications ( Amiodarone ).